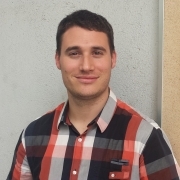 Home » Opinon » What skills does a leader in the third sector NOT need? Degree in Sociology. Postgraduate course in Management of non-profit organisations. Working in European projects and social innovation since 2010. Today there are countless books and conferences dealing with the topic of leadership. Many of them take a prominent USA-based approach and tend to highlight the role of a leader as a person (individualism) with knowledge, abilities and more than 100 skills in all fields (over-qualified). We could even say they are treated as semi-Gods. I personally believe this approach to be totally off-course, since even is the intentions are meant to be constructive, it inevitably leads to a certain degree of frustration in the reader/listener when they are unable to acquire the 100 skills and abilities that are required from them. 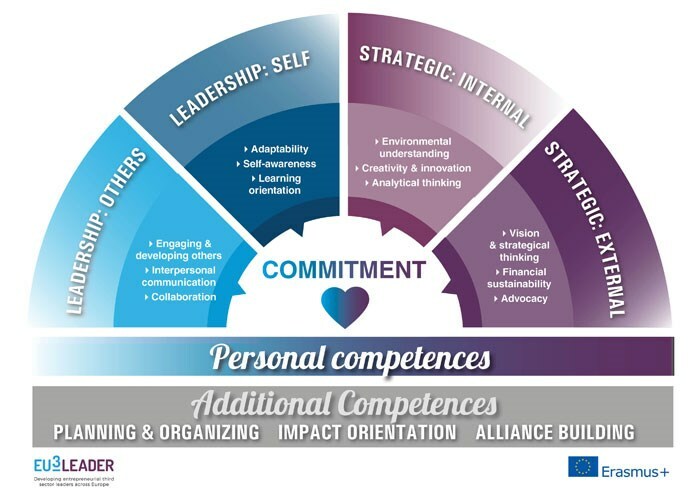 In order to find a real answer to the skills that a good leader in the third-sector should have, at the Eu3Leaders project we have been working on drafting a European competence framework of third sector leadership. Precisely, one of the differential elements is that one single person does not need all of the competences, it can perfectly be a person from their surrounding (someone in their team, work colleagues, or friends). This approach moves away from a personalistic approach to a leader towards a model of shared leadership integrated into the team, and this lower the pressure that is placed on a leader. In total, there are 16 competencies distributed at three levels. At the centre we would find commitment, represented by a heart, which is the fuel that moves the rest. A third level (Additional competences) are competences that are not essential to a leader, but that are required from somebody around the leader; there are three of these: Planning and Organizing, Impact Orientation and Alliance Building. To conclude, I would like to say that we are working on preparing an online self-assessment tool for these competences. This tool will allow determining the level of competences of the person undergoing assessment and compare this with other European leaders.